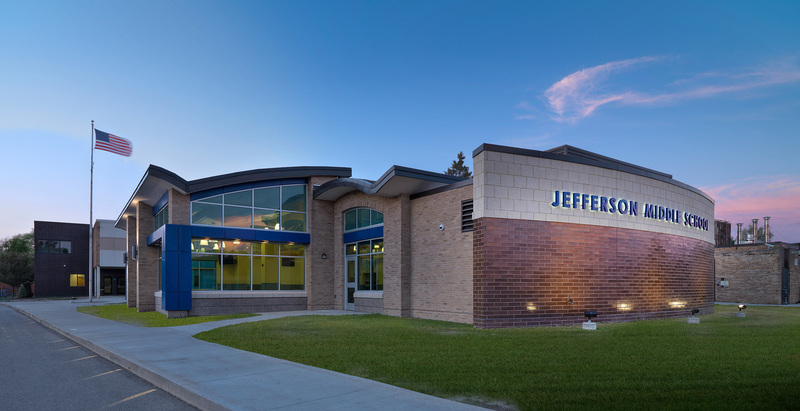 To meet the needs of the growing building population, Jefferson Middle School received a much-needed expansion and upgrade. 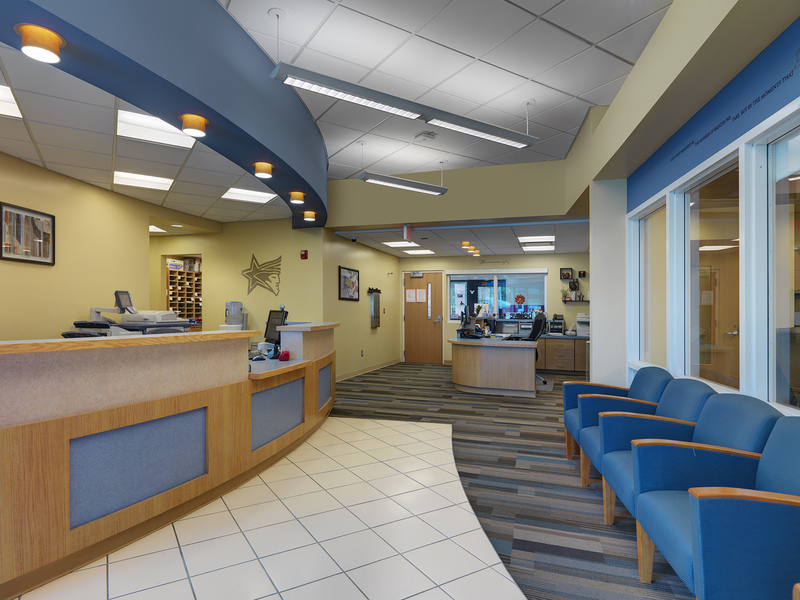 Prior to the improvements, the administrative staff was scattered throughout the building, there was no identifiable, secure main entrance and classroom space was lacking. The PARTNERS team worked closely with district representatives to develop a solution that not only addressed all of their needs, but also created a new identity for the school. 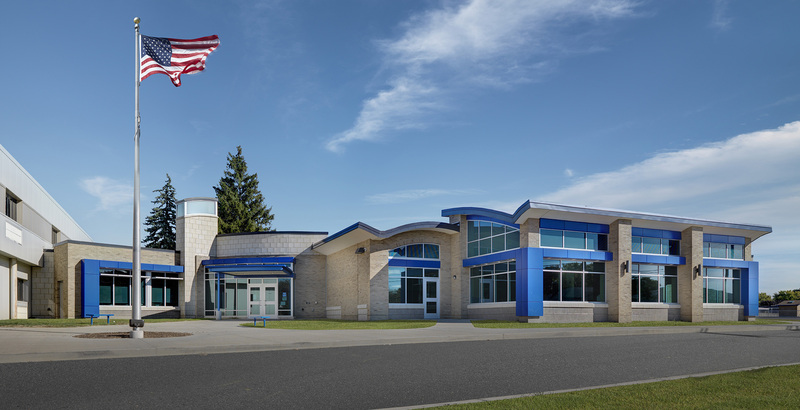 The building addition and renovations contained a new consolidated administrative area, a secure and centralized main entrance, a cafeteria expansion and new general education areas. 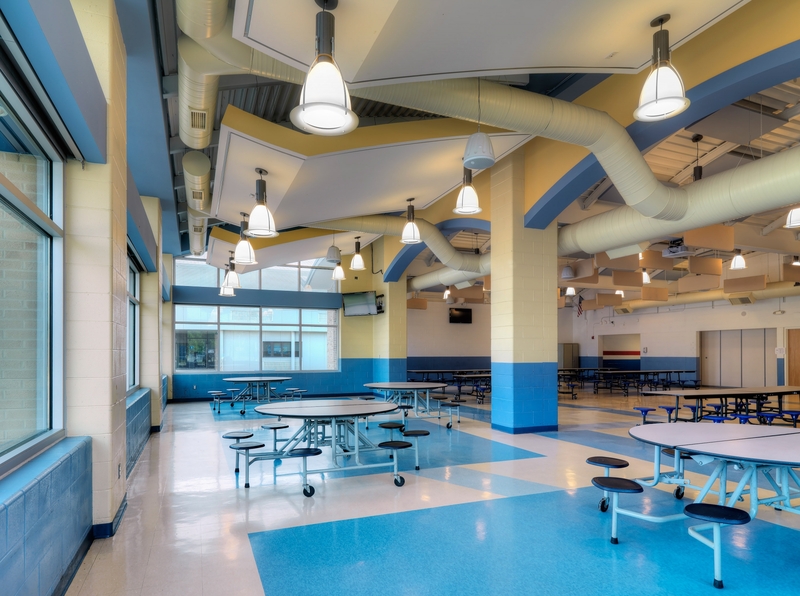 The expanded cafeteria not only provided for much-needed elbow room for the growing student population, it also provided a fresh and new aesthetic with new modern materials. The new building entrance invites visitors into its open and welcoming courtyard, which is anchored by a tall tower element that is lit in the early morning and evening hours. 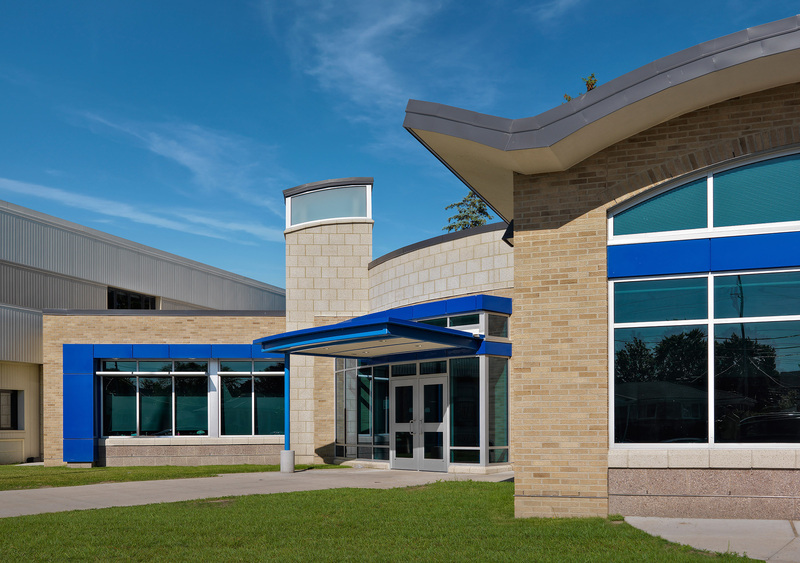 The new main entrance is easily identifiable and is effortlessly supervised from the new administrative areas. 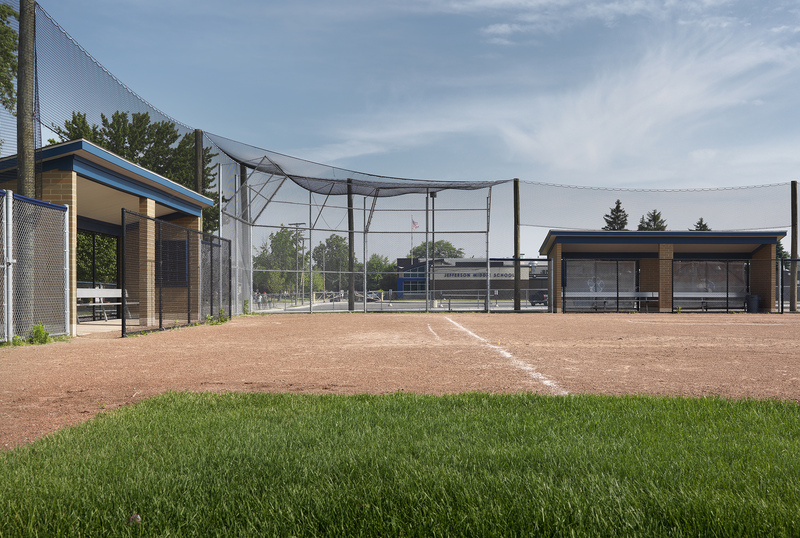 Other improvements included upgrades of lockers, flooring, lighting, clock systems and ceiling replacements.Jefferson Middle School site plan improvements included parent drop off/ pick up area, (8) new varsity tennis courts, varsity softball field and practice football field.